The device will ship in Silver, Gold and Dark Grey colour variants. 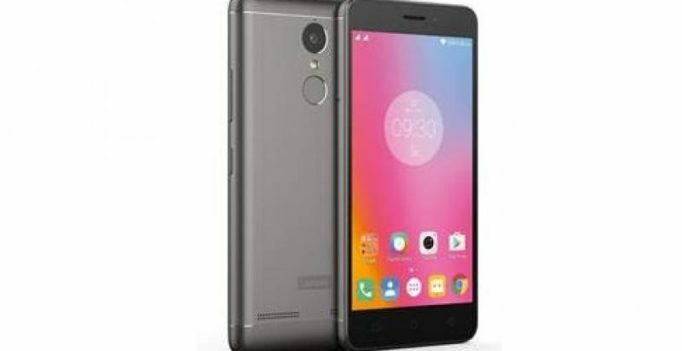 Lenovo India has announced the next generation of its K series, Lenovo K6 Power at a price of Rs 9,999. The device will ship in Silver, Gold and Dark Grey colour variants. As for the specifications, the smartphone sports a 5-inch full HD IPS LCD display with 1920 x 1080 pixel resolution and is powered by a 1.4GHz Qualcomm Snapdragon 430 SoC and Adreno 505 GPU and 3GB RAM. It runs on Android 6.0 Marshmallow with company’s Pure UI on the top. It is equipped with a 13MP rear camera with a Sony IMX258 sensor, PDAF and LED flash, while there is an 8MP front facing camera with a Sony IMX219 sensor and a wide-angle lens. The device has 32GB of internal storage, which is expandable up to 128GB using a microSD card. On the connectivity front the device offers 4G LTE, VoLTE, Wi-Fi 802.11 b/g/n, Bluetooth 4.2, FM radio, Micro-USB, and GPS/ A-GPS. The K6 Power draws fuel from a huge 4000mAh battery that claims to provide 96.5 hours of music, 13.6 hours of video, 48 hours of calls, 12.6 hours of surfing, and 649 hours of standby time.